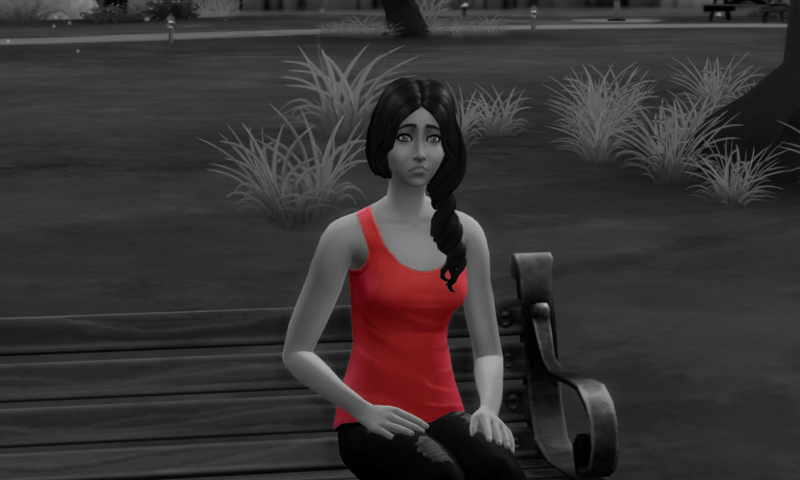 Since Don Lothario needs to go on anther date for his aspiration of Serial Romantic, I sent him to the park with his girlfriend Nina Caliente. 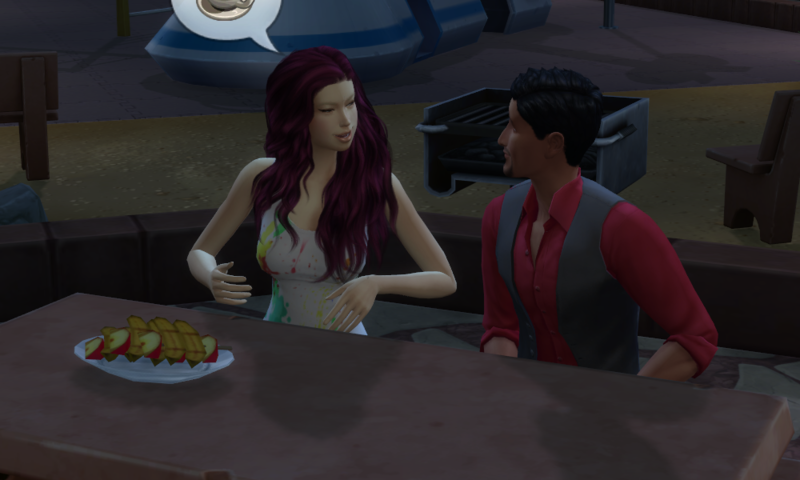 Apparently, Don didn’t care that Nina was actually his date because he started chatting up random women. Suddenly, I was sitting on a bench in a park with no memory of how I got here. Baato was restless. He was still in the house of punishment after one day and one night and he was already starting to reek. Did he really deserve this? He did disobey Manika’s orders by joining Cassiel but on the other hand he had been innocent. Didn’t his time with Cassiel make up for his false punishment? 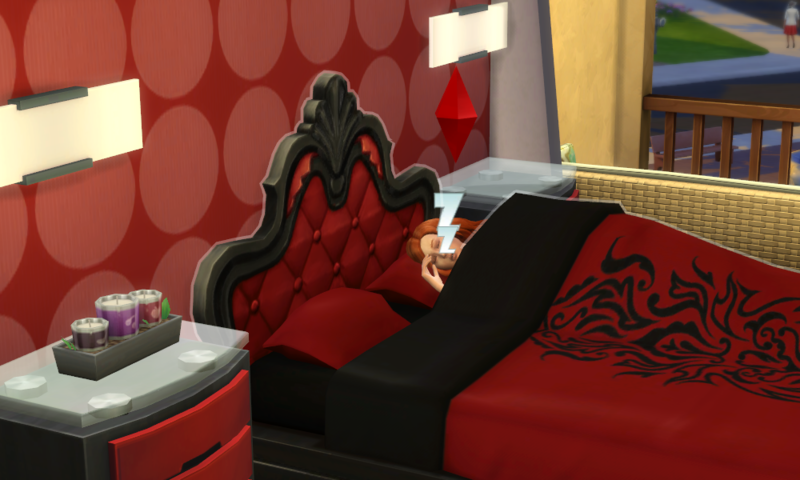 When Nina and Don came home after their weird gold medal date (Nina refused to become Don’s girlfriend) Don autonomously went to sleep in Katrina Caliente’s bed and I realised that Don didn’t have his own bed. 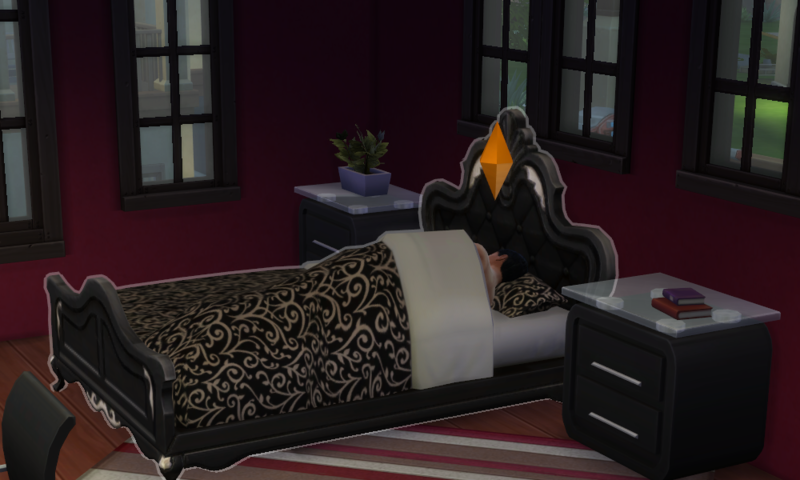 Since the German description of the Calientes said that Don was Katrina’s boyfriend I designed their house with three bedrooms in expectation of Don sleeping with Katrina. 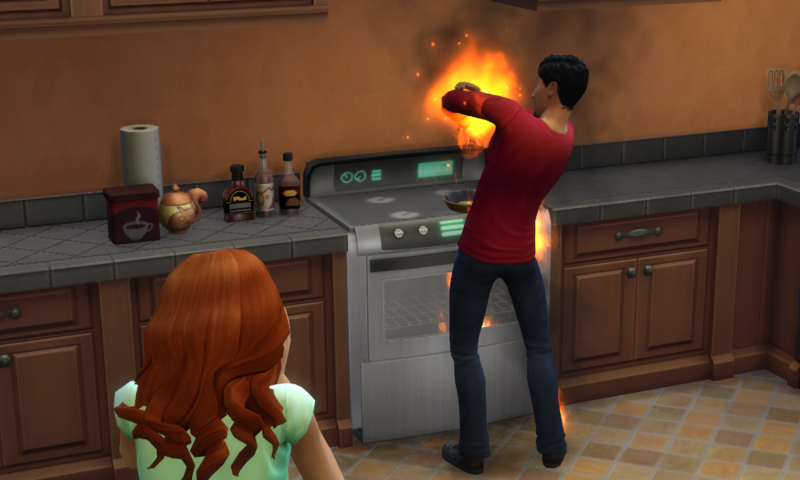 Onto the Caliente household! 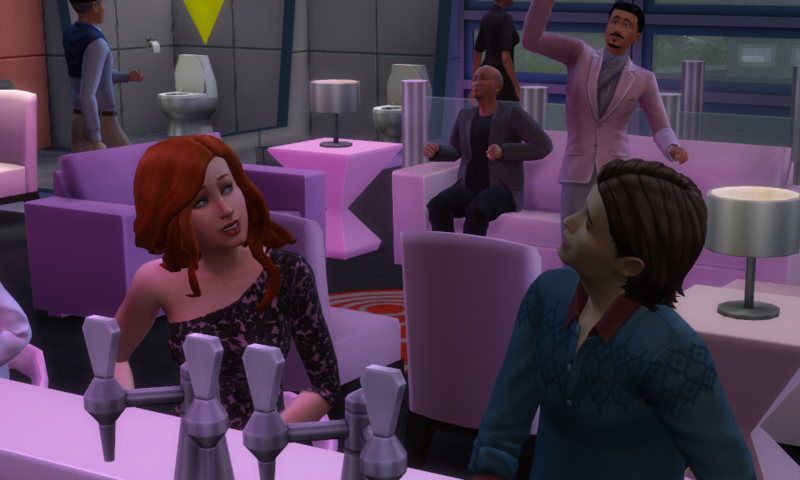 I was so looking forward to playing the Caliente women and Don Lothario, the ultimate womanizer. 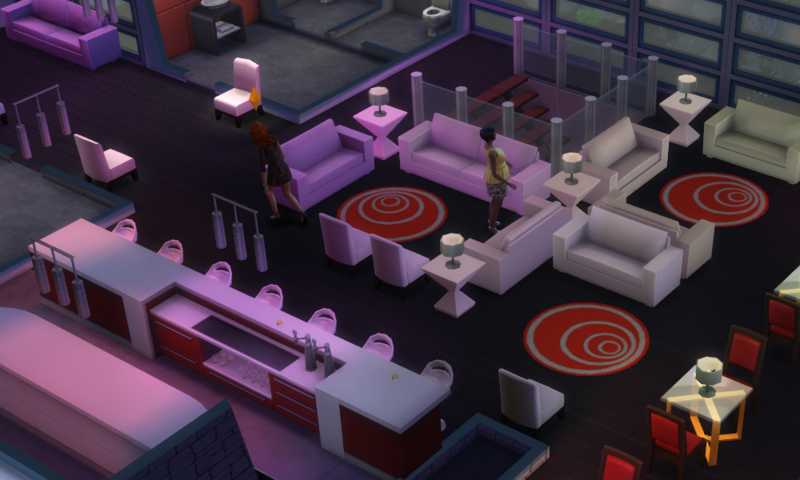 Katrina Caliente lives in Oasis Springs with her two daughters, Nina and Dina. 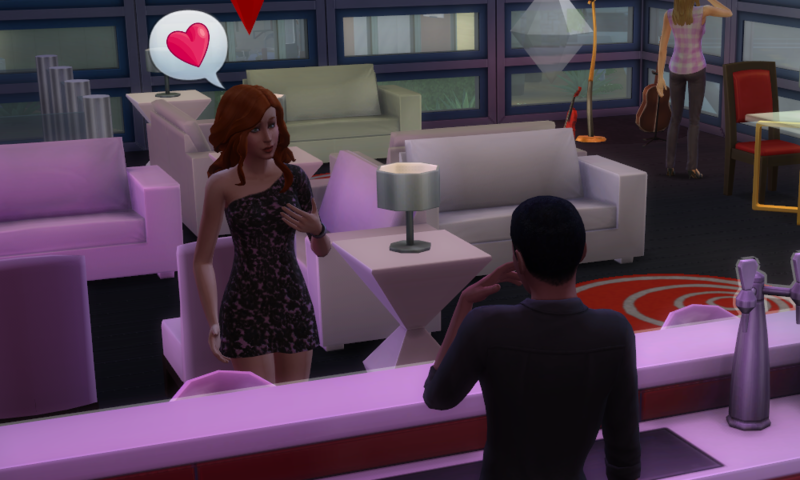 Recently she has brought Don into the house and now no one knows if he will hook up with more than one of the women. Fun times! 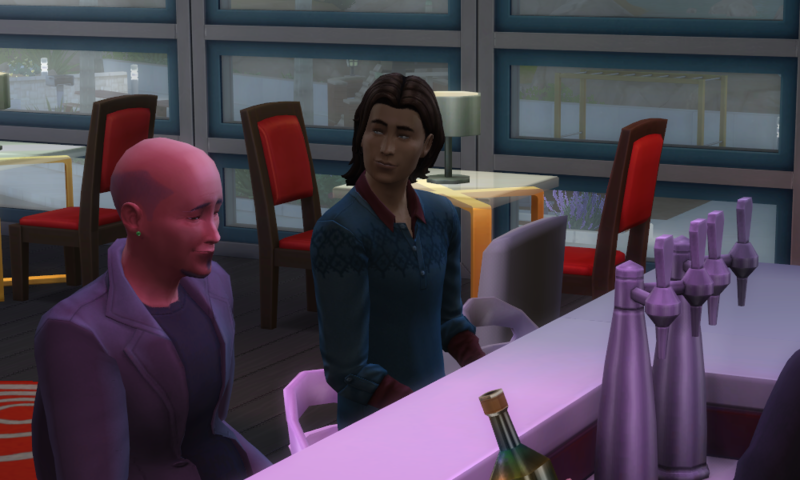 After I rebuild the Calientes’ house I started playing, but everyone except Nina Caliente was at work. Nina is lazy and she doesn’t have a job. 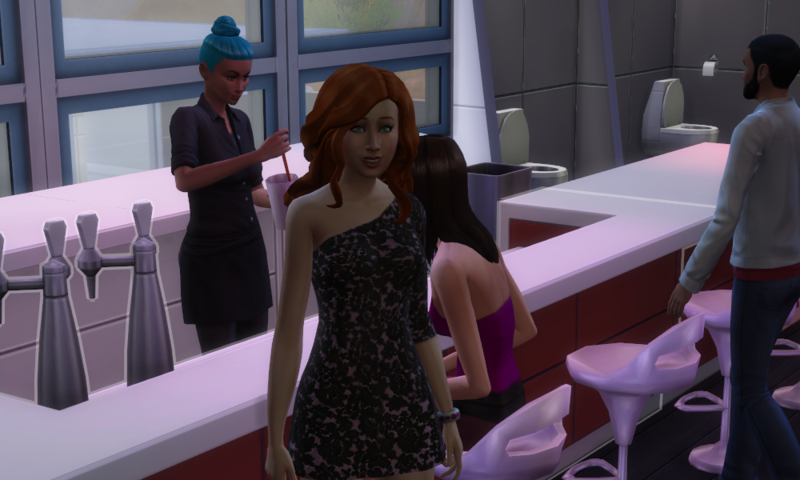 But she is a romantic sim and it was 8 pm so I decided to take her to the club to meet some people! Her relationship panel was pretty empty apart from her family and Sandra Muffin. She looked so pretty in this cc dress! I actually gave her a lot more outfits but I didn’t take any pictures. Plum me! I’ll show you those outfits next time. Check out the cool barkeeper! I introduced Nina to everyone at the club. 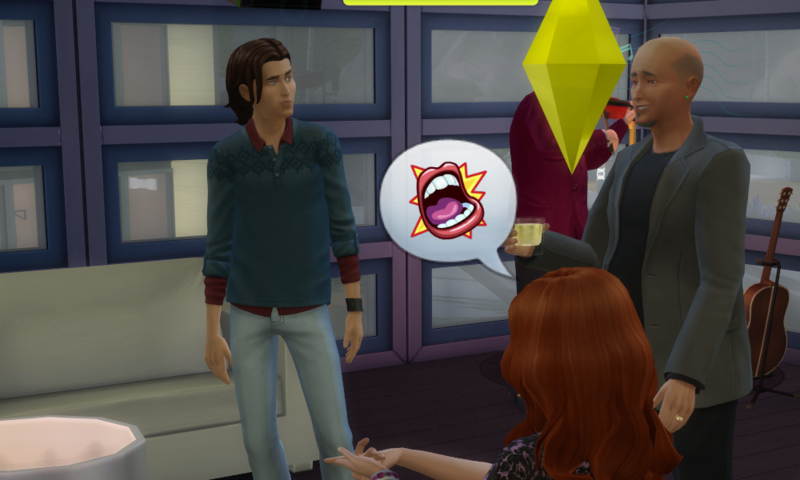 There were many familiar sims there but also ones I didn’t know. I especially spied this hottie at the bar! Ain’t I the perfect wingwoman for Nina? But Nina had no intentions of going near that guy, she talked to another woman about clumsyness instead. Sigh. She might need a little nudge here… Go, Nina! 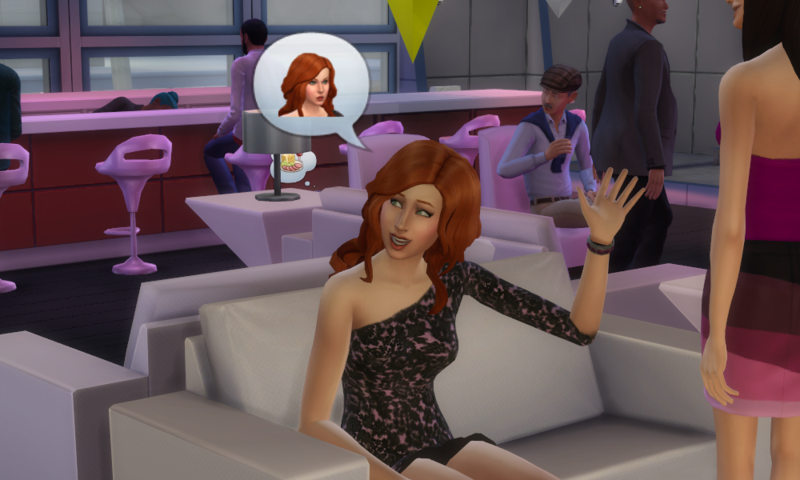 Introduce yourself to the hottie at the bar! But Nina didn’t much care and pretended to be an evil mastermind to impress him. Just look at her face! I laughed so hard. Evil guy seemed very accepting so I decided to let Nina toss out a flirt! But he rejected her! Rude. Nina didn’t take it well at all and when I saw there was an option to slap the guy in the face, that’s what Nina did. Then I introduced Nina to the read-head-man-bun-weird-beard-guy! 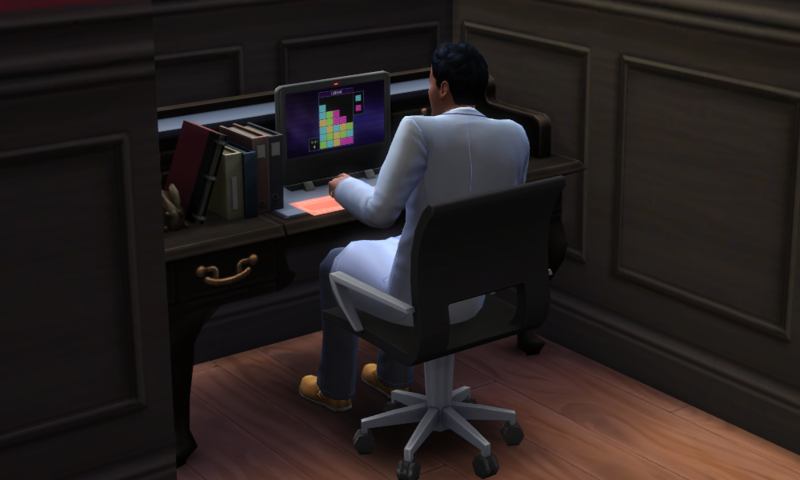 We already saw him a few chapters earlier when Sandra Muffin was talking to Nancy Landgraab! Nina flirted with him but what’s-his-face rejected her too! What’s up with the guys today? It was getting very late, everyone was leaving and Nina was so tired so I wanted to send her home. But then…Gasp! Hope! A new barkeeper! He was very receptive to Nina’s flirts! It’s Ollie Purdue, he is also one of the EA premades and I think he’s on the TS4 cover image too. 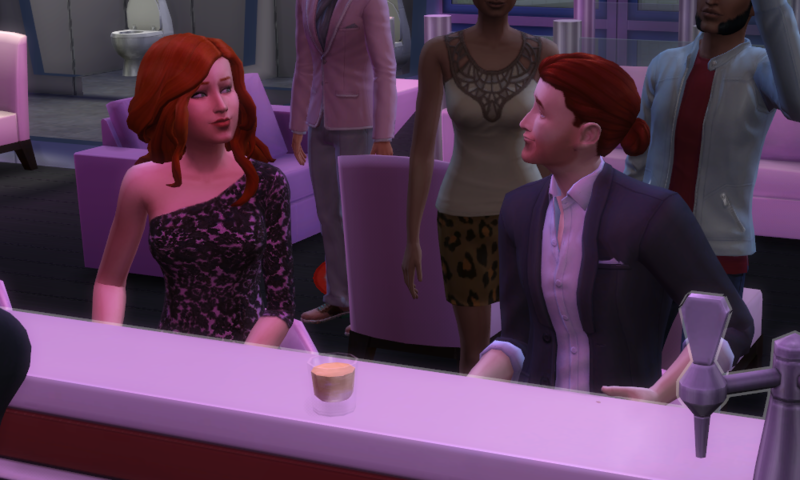 Their romance bar got higher and higher but I couldn’t ignore Nina’s dark red plumbob any longer. Reluctantly, I sent her home to bed.